I like my lawn. I like my lawn because it is not all grass. There is an incredible variety of plants which live in my lawn alongside the centipede and Bermuda and St. Augustine grasses which have become all mixed up out there. Some of those plants have broad leaves along trailing vines, like the dichondra and the dollar weed. Some of the plants form florets of leaves around a center stem, like the dandelions. Some of the plants even have fuzzy leaves; I am not even sure what those are called. The occasional oak tree pokes it’s lobed leaves up in the middle of my lawn. I even have one or two crepe myrtle bushes which have been trying for years to push themselves up into their towering shrub form from the midst of my lawn. Each time I mow, I think I will finally discourage the poor things enough that they will just shrivel up and disappear. But they don’t; they just spread broader and poke up more branches in their futile attempts at reaching their full potential. Bless their hearts. But even with all of their variety, taken together, the plants in my lawn serve the same function as the grass in any lawn in an average suburban neighborhood. That is to say, those plants are supposed to serve no individual function at all. They are not supposed to stand out in any way. Instead, they are supposed to look like a uniform meadow of green. Their role in the world is not so much to paint a picture but to create a mood. Landscape designers will tell you that swaths of green are necessary to allow the eye to rest. They provide peace and calm, order and structure, shape and form, so that the other elements of the landscape can shine. They are like herbaceous background singers, offering their rhythmic hums and do-wops so that the diva-like soloists can strut their stuff on the front of the stage. That, I believe, is why dandelions are so offensive. They plant themselves in the middle of the lawn, and although they have a different texture than what surrounds them, they are not, on the whole, ugly. But then they shove their uppity, yellow blossoms toward the sky, and it becomes obvious that they have forgotten their place in the world. The nerve! Contrast the role of those varied plants in the lawn with what is in my flower beds. That is where you will find the real stars of the kingdom plantae. I have plenty of springtime divas out there right now: the brilliant pink calla lilies glow, the gerbera daisies strut their primary yellow- and red-colored stuff, the oriental lily hybrids attract attention to their blushing petals, and the caladiums I bought earlier this spring show off the dazzling variegation of their leaves. Or even contrast the workhorses of the vegetable and herb gardens. The tomatoes and peppers and strawberries and oregano are not as gorgeous as the callas, the lilies, the daisies, and the caladiums. But the flavors they bring rival the glory of the ornamental superstars. Each of those plants serves a positive function, and they are special because of that function. The plants in my lawn serve a negative function: they are not supposed to compete with the plants in the flower and vegetable beds for attention. And that is all. And so, imagine my surprise and shock a few weeks ago at what I saw in the middle of my lawn. At the top of a lobed-leaf plant poking up from the middle of the lawn, about equidistant from the river birch which dominates the front yard and the flower bed which lines the front of the house, there was a tiny, white flower. 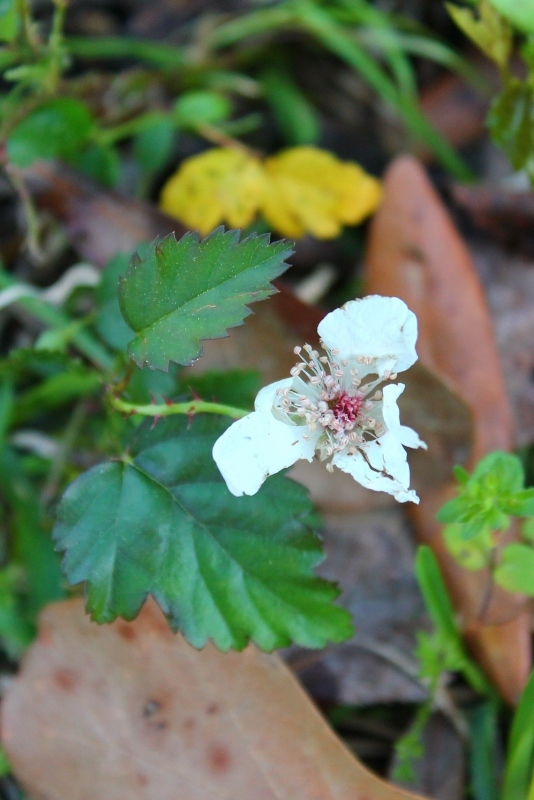 And I recognized that flower and the leaves that accompanied it at once: it was a blackberry. A wild blackberry was trying with all its little might to grow and bloom and produce fruit in the middle of the front lawn. I took some time to admire the little thing. Its disdain for the overall function of the lawn that surrounded it, along with its sheer tenacity, earned my respect. It didn’t care where it was planted. It didn’t care about the horror its presence would cause the landscape designers; it didn’t care whether my eye had an opportunity to rest between gazes at the prettier things coming up in my yard. It didn’t care that the rules say the fruit-bearing flora belongs in the back yard. It had no interest in suburban propriety. Its one mission in life was to fight for the right to bear its fruit, and by God, it was going to fight hard. It had even armed itself with a score or more of spikes up and down its three-inch stem, daring someone, anyone, to tell it that it couldn’t do what it was destined to do, right in the spot where it found itself. There are any number of metaphors that could be drawn from this little berry bramble asserting its right to do its thing wherever it grew. I think of my son, whose intelligence and uniquely beautiful personality I can see, but who sometimes gets lost as necessary order is imposed on the jumble of dozens of kindergarten students who are made to sit still at their tables and stand straight in line and listen to the teacher and avoid distracting their neighbors. I think of activists and artists and other saints in many times and places who have stood up not only for their own right to show their unique beauty and skill in the world, but who have organized and taught others to stand up and stand out, too. I think of the narratives of my Christian faith, which give example after example of times when God has unexpectedly lifted ordinary people out of their ordinary circumstances to mediate extraordinary blessing to God’s people and the whole of God’s creation. Any of those thoughts could lead me to lessons potentially learned from this little, wild blackberry which dared to bloom in the middle of my lawn But I am not sure a lesson is what is needed here. For now, I think I am ready to simply appreciate that a disdain for order and tenacity of purpose are not exceptional in this world; in fact, they are very natural. I like my lawn because it is not all grass. My neighbors think I am a freak. They are too polite to say it; this is the South, after all, bless your heart. But I know what they are thinking when they see me working in my yard using some techniques and tools which most people around here don’t use. And I wonder if I need to get used to being considered a freak, not just because of my gardening methods, but also because of my faith. For instance, I have a mulching lawn mower, so I never rake the leaves off of my lawn. The lawn mower is electric, and everyone else around here has a gas mower. And a key part of my strategy for weed control in my flower beds involves newspapers. Yes, newspapers. When I lived up north, I read one of those helpful columns in the newspaper giving advice on gardening. One week, the writer suggested spreading newspaper on a new flower bed before spreading mulch and planting. The newspaper smothers the weeds and prevents new weeds from growing. Then, over time, it decomposes, adding nutrients to the flower bed after the need for smothering what is under the newspaper is passed. The process is simple: after I dig a new bed, I add some manure, compost, or other soil booster. Then, I spread the papers on the bare ground. I usually use at least two layers of paper at a time, overlapping them so that there are at least four layers in any given place in the bed with no gaps between the papers for weeds to sneak up. For a bed with a lot of weeds, I have laid 8 or 10 layers of newspaper. As I spread the sheets of paper, I periodically sprinkle them with water so they are heavy and will not blow away. Once I have the paper spread all over the bed, I put 2 – 3 inches of pine straw or other mulch on top to hide the newspaper, hold it in place, and further snuff out the weeds. I have even done the whole process without digging up the bed first; I simply spread composted manure on the grass in the place where I wanted the bed to be, then put a thick dressing of newspaper and the mulch on top. By the following spring, the grass was gone, having decomposed and become a part of the soil after it died from lack of air and light under the newspaper. That bed has prospered well with Black-Eyed Susans, Mexican Heather, Gerbera Daisies, some Calla Lillies, Cannas, Hibiscus, and a few other pretty things. It was during the construction of that flower bed that I first got the snickering comments from my neighbor across the street. As I was carefully laying newspaper on the green grass one breezy November day, he was washing his car in his driveway. I imagined as he kept looking across the street that he was mocking me. To be fair, he may have simply been curious. I don’t remember now how he finally broke the silence to find out what I was doing, but I believe it was some comment made in jest about the strangeness of my activity. I was, after all, spreading newspaper on my lawn, an activity made all the more freakish by the breeze. The papers kept trying to fly away, so I had to do some gymnastics to hold them in place while I reached for the hose to weigh them down with water. I explained that I had seen this idea in the paper one time. I did not mention that the article was in a Northern newspaper, since that detail would make it automatically suspect as some hippie liberal conspiracy to further denigrate the Southern man. My neighbor seemed satisfied, and he even complemented me the next year on the beauty of the bed I created so oddly. Earlier this year, I used a layer of newspapers in another flower bed, this time next to the house. I had re-planted the bed last summer, but I had never been able to control the weeds effectively. As I was spreading the papers one spring morning, my next-door neighbor made some suggestion that there were better ways to read the newspaper than by spreading it all over the front yard. He was polite and jovial, but again, there was that snickering tone. I explained the strategy to him, this time leaving out the details about the source of the idea, and he didn’t push any further. I could tell, though, that he was not convinced this would ever be considered a conventional method for weed control, and I have since seen the more standard method applied to his yard: the True-Green Lawn Service truck came and spread God-knows-what kind of petrochemicals on his lawn. There have been a lot of comments about the findings. Many of us are not surprised; this is a trend which has been growing since I was in college, and in other parts of the country where I have lived, the number of “nones” passed 20% a long time ago. The day after the findings were released, one person at my church lamented to me “it’s such a shame that so many people don’t have any faith at all.” Two hours later, someone else proclaimed excitedly, “well, the church has to take advantage of the opportunities to reach those people!” Whether it is a great tragedy for society or a great opportunity for evangelism I will let others say. I simply want to lift up this new reality and imagine how it will affect us as people of faith. The fact is that Christians are a bit strange, and if current trends continue, we may even slide into the category of freaks. We are odd because we spend so much time at the church when we could be doing things which are more gratifying. We are different because we see more happening in the world than we can observe or prove scientifically. We are strange because we are committed to an institution which seems, at various times, quaint, untrustworthy, corrupt, rigid, oppressive, too liberal, too conservative, too wishy-washy, archaic, and arcane. And don’t get me started about just how bizarre the practice and theory of worship is in the modern world, if you really think about it. For clergy, this oddness is not a new thing. When people we meet outside the church find out what my wife and I do for a living, they often become fascinated, intimidated, self-righteous, condescending, or all of the above, all at once. At the very least, they rarely react in the same way as I imagine they would if we said we were a pair of accountants or teachers or baristas. Two or three years after we moved in, we were talking with the wife of our neighbor across the street who first observed my newspaper trick. She admitted that, when she first heard two ministers had bought the house across the street, she would carefully hide the cases of beer she occasionally brought home from the grocery store in heavy paper bags and tuck them under her coat. We were strange to her; she didn’t think she could behave normally in front of us. In the future, if current trends continue, I wonder if all Christians will have to accept a new identity as social freaks. I wonder if people will start to smirk and tease the way my neighbors do when I start spreading my layers of newspaper in my front yard. And I wonder if there might be something freeing about being freaks in a world of nones. I wonder if we will be able to be Christians because we want to be, and we feel called to be, not because that is the way everyone else is. I wonder if we will claim our identities with a greater sense of purpose. I wonder if we will be freed to simply live lives which are worthy of the gospel, loving our neighbors as we have been loved by our God, whether it is the popular thing to do or not. I wonder if we will recognize that most of what we are called by Jesus to do is very counter-cultural, if not counter-intuitive. I wonder if we will discover that, if we do it right, our faith will not help us in our business networking or efforts to climb the ladder of power and prestige, and it might even get in the way. I wonder if we will have to learn to put into words why our faith is important to us in ways we can’t currently articulate. I wonder if we will invite others into our alternative lifestyle only after they watch us for a while and inquire about why we live so strangely. I wish my neighbors would just try using newspaper to control weeds rather than using the hazardous chemicals or back-breaking efforts they currently employ. I think they would find it more effective, more healthy, and more enjoyable. But based on their snickers and teasing, I don’t think they will try it anytime soon. I will simply have to wait until they see that, as odd as it seems, it works, and then I can encourage them to try it for themselves. One morning last week, I was getting ready to mow the back yard. The first step in that labor, of course, is to find where the dog has done what dogs do and pick up the treasures hidden in the grass. Equipped with my trowel and shopping bag, I headed to one of our canine’s recent favorite spots: under the enormous fans of a low-growing palm tree, near the place where the lawn is cut out around a bird bath. As I approached the first deposit I found, I noticed something: hovering in the air, reflecting the rising morning light off of their whiny little wings, were scores of mosquitoes. As I knelt down to address the dog’s business, I remembered reading somewhere that mosquitoes, like our ubiquitous sand gnats and all manner of other creatures which annoy me, are attracted to carbon dioxide. I tried holding my breath for a moment, but I knew that was futile. I let the contents of my lungs go, and sure enough, they found me. The presence of the mosquitoes most immediately reminded me that I had not been vigilant in the previous week or two about changing the water in the bird bath. In our sub-tropical climate, the water really has to be changed daily to keep it from becoming a cesspool of mosquito breeding. I spent the obligatory moment chastising myself for my laziness, because every failure in the garden must reflect a fundamental flaw in my character, right? But once I was finished with that, I started reflecting more on what was going on in my back yard that morning. 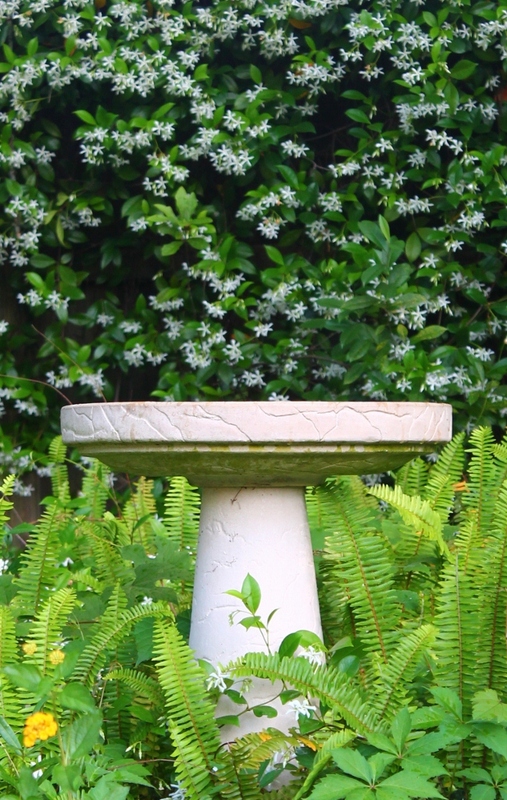 We keep the two bird bath, as well as two bird feeders and a hummingbird feeder, because we enjoy watching the birds. My wife has one of those books which identifies the birds found in Georgia. It even provides a check list at the end of the book for her to mark when she sees a specimen of each variety. She and my son have found great pleasure in seeing new and interesting birds take their repast at the feeders or a splash around the bird baths and looking them up in the book. I am less scientific about the whole operation, but I just like sitting back and watching the wildlife as it plays outside the living room window. 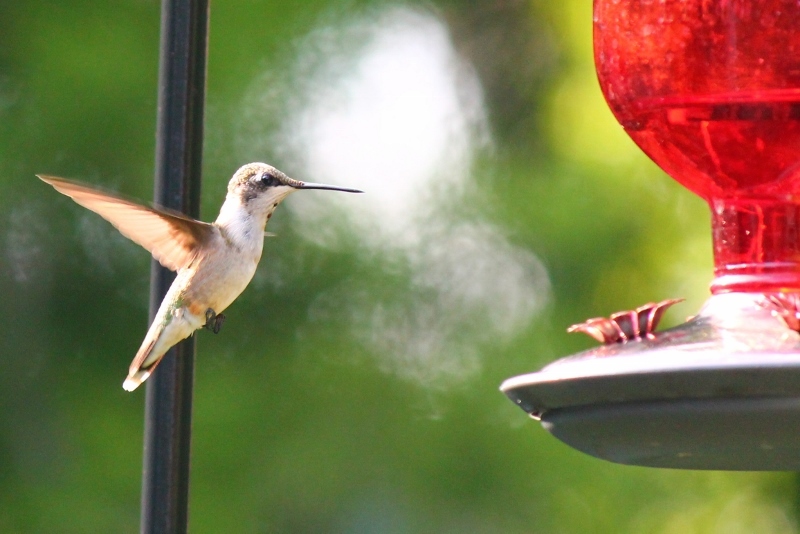 But recently, we noticed something different eating on the feeder that is further from the house. It was small, it was brown and furry, and it could fit inside the feeder to get a really good meal. One night, there was only one; I took a closer look, and found that its long tail was bare. My wife informed me that meant it was a rat. The next night, there were two, and by the next night, there were four climbing up and around that far feeder. We don’t want rats that near our house; in fact, we would rather pretend they don’t even live in our part of town. I am almost embarrassed to admit that they came on our property. We certainly do not want them multiplying exponentially as they find their sustenance at our bird feeders. Through some research, I found out that there is no way to really get rid of the rats without risking collateral damage to the populations of squirrels, cats, dogs, and children which use our back yard for a variety of purposes. The fact is that we had a mild winter, so the rat population is going to be larger than normal, and they will come closer to humans as they look for food. The only safe solution was to stop filling the bird feeders. I made sure the feeders were empty. The bird baths and hummingbird feeder would have to suffice for some time, until the neighborhood cats help the rats find a new place to eat breakfast. Then the mosquitoes made their early morning attack. I felt the frustration rise: I can’t fill the bird feeders because the food attracts rats. I can’t fill the bird baths because the water is breeding ground for mosquitoes. So how can we enjoy the wildlife without all the pests? As a person of faith, I could have gone from there into those kinds of questions that pop up in our minds every now and then, like why did God make useless things like mosquitoes and rats? But I didn’t want to because I am not sure those kinds of questions can be answered this side of our glory. So I settled on a different reflection. 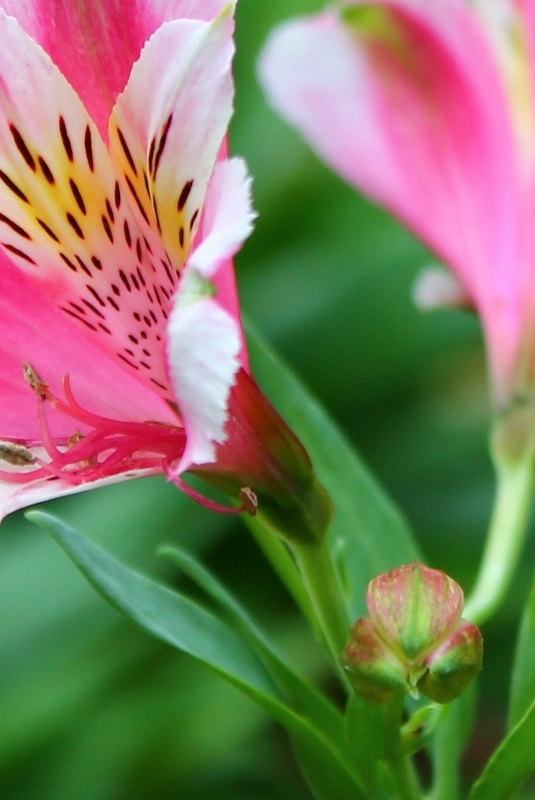 Gardening is one of many attempts by us humans to manipulate nature for our own pleasure. I don’t believe there is anything intrinsically wrong with our attempts to manipulate nature for our pleasure, any more than there is anything wrong with manipulating nature to meet basic needs for food and shelter and the like. But in nature, everything we do has consequences which are beyond our control. The rats and the mosquitoes are among those consequences. The rats and mosquitoes probably serve some great purpose in the larger scheme of creation. My encounters with them function to remind me that, while there is nothing wrong with manipulating nature for my own pleasure, nature was not created solely for my pleasure. The world does not revolve around the whims of my pleasures, or even around the persistence of my needs. There is something much bigger than me operating in the world; I have the privilege of being a part of that something bigger, but it is not operating for me alone. So if I try to attract birds and find myself with mosquitoes and rats too, there has not been some great failure of the way things ought to be. In fact, the way things ought to be has worked itself out, and I can choose to either accept the consequences or stop leaving bird seed and standing water outside. Having reluctantly removed myself from the center of the universe once again, I think I have decided what I will do. I will leave the bird feeders empty for a while, perhaps even leaving the one farthest from the house empty until winter, when I hope the frost will do its job with the rats more completely this year. But I will fill the bird bath again, with a commitment to fill it with fresh water daily. Perhaps I can even find pleasure in the discipline of the nightly work in the back yard.